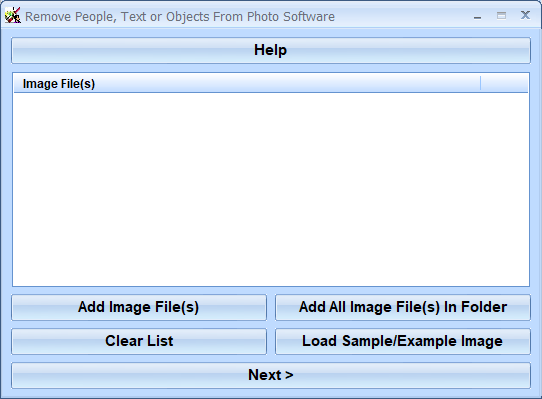 Remove People, Text or Objects From Photo Software offers a solution to users who want to remove unwanted details from images. The user loads an image, chooses the selection shape (polygon or box), adjusts the block size and scan border, using the sliders, and then selects the object for removal. When the 'Start Removing' button is clicked, the software will try to fill in the selected area based on the color of the surrounding pixels. Remove People, Text or Objects From Photo Software is backed by a 30-day money back guarantee. If you are unhappy with the product, simply fill out the electronic form for a refund.